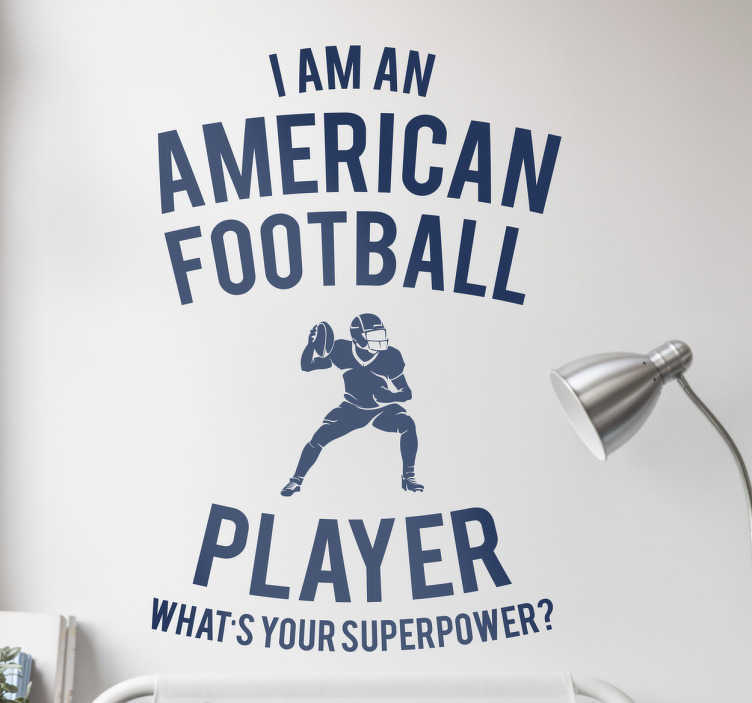 This wall sticker is perfect for anybody who is fan of the quote ´I am a american football player what´s your superpower?´. It has the football player in different positions ready to play. This is very important for any player of American football. What are you waiting for? decorate your home with hits football sticker! Our products are produced with great care, and contain the highest quality vinyls. You can choose your size, colour and more!